The terms and conditions apply to the use of the Print More. By placing an order with us, you are agreeing to accept these terms and conditions (The Conditions). Please note, these terms and conditions can potentially change at any time, and it is your responsibility to check these terms and conditions regularly before ordering products in case there are any changes. If you do not agree with the terms and conditions set out below, you should not use or access these websites. print-more.co.uk a division of Print More, registered office 37 Luton High Street, Chatham, Kent ME5 7LE. The following terms and conditions will apply between you and Print More , when you purchase an item from print-more.co.uk the terms do not affect your statutory rights. Your contract for purchases made through print-more.co.uk is with Print More and you undertake that all goods ordered by you are for your own private and domestic use only, unless otherwise stated. You warrant that all details you provide to print-more.co.uk for the purpose of ordering or purchasing goods are true, accurate, current and complete in all respects; and that the credit or debit card you are using is your own and that there are sufficient funds in your account to cover payment of the product(s) ordered. It is a crime to use a false name or a known invalid credit card to order. Anyone caught wilfully entering an erroneous or fictitious order will be prosecuted to the fullest extent of the law. Print-more tracks the electronic 'fingerprints' of every order placed on Print-more.co.uk to enable us, and all legitimate crime prevention and prosecution authorities, to trace individual users engaging in criminal activities on our website. Availability information for products is listed on each individual product description. If Print More has insufficient stock to deliver the goods you have ordered, we will not charge your credit or debit card until the items are back in stock and ready to be despatched. All prices listed on print-more.co.uk are correct at the time of entering the information however; we reserve the right to change prices of any product at any time. All prices exclude VAT which will be added to the final order. No contract for the sale of any product will exist between you and print-more.co.uk until we accept your order by dispatching the product to you. When this happens we will confirm the acceptance by sending you an email. 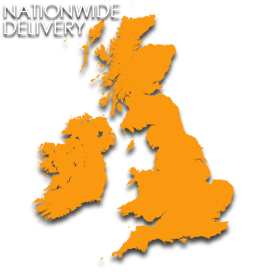 If your delivery address is outside of the UK , you may be subject to import duties and taxes, which are levied once a shipment reaches your country. You must meet any additional charges for customs clearance. Please note, customs policies vary widely from country to country. We recommend you contact your local customs office for further information. If you haven't submitted an order, you may clear the items in your shopping basket at any time prior by clicking the 'Remove' button next to the product ordered in you shopping basket. If we receive notification from you that you wish to cancel an order, any sum debited to us from your credit or debit card will be re-credited to that credit or debit account within 30 days of your order, provided the goods you return are in the same condition and un-logoed. You will be liable to any charges incurred when returning the goods to Print More unless the return is as a result of an error on our side. You may return all stock items sold by print-more.co.uk within 14 days from the date of despatch for a full refund. This procedure is not allowed for custom made t shirts, when a proof has been agreed in writing. print-more.co.uk will be happy to exchange for the same item most products that are damaged, faulty or incorrectly shipped through any circumstance that is in our error within 14 days from the date of despatch. For more information, please refer to our Exchange procedure. print-more.co.uk will not pass on your personal, credit or debit card details to any third party. We will never ask for personal details via email. If you receive an unsolicited email asking you for your print-more.co.uk log in details, please contact our Customer Service team immediately. If an error is discovered in the price of the goods that you have ordered, we will inform you as soon as possible. In the event that you order an item and the price published on print-more.co.uk is incorrect for any reason, we will contact you to let you know the correct price and ask you whether you still wish us to fulfil your order at this price. We shall be under no obligation to fulfil an order for a product that was advertised at an incorrect price. We shall give you the option of confirming the order at the correct price or if you so choose, to cancel the order altogether. If you cancel and have already paid for the goods in the circumstances described in this clause, we shall refund the full amount within 30 days of the date of order. • Nothing in the Conditions shall exclude or limit our liability for death of personal injury resulting from our negligence or that of our servants, agents or employees. All rights, including copyright, in the content of the print-more.co.uk web pages are owned or controlled by Print More. In accessing print-more.co.uk web pages, you agree that you may only download the content for your own individual and non-commercial use. You are not permitted to copy, broadcast, download, store (in any medium), transmit, show or play in public, adapt or change in any way the content of the print-more.co.uk web pages for any other purpose whatsoever without the prior written permission of Print More. We can not be held responsible for material displayed on third party websites or any other written material. The only prices that apply for Print More products are those stated on the Print More material. We can not vouch for the reliability of prices stated on shopping directories or through any other third party. These Conditions govern our relationship with you. Any changes to these Conditions must be in writing and signed by both parties. In this way, we can avoid any problems surrounding what Print More and you are expected to do. You confirm that, in agreeing to accept the Conditions, you have not relied on any representation save insofar as the same has expressly been made a term of these Conditions and you agree that you shall have no remedy in respect of any representation. Your Statutory Rights are not affected by these terms and conditions. Nothing in this clause shall limit or exclude our liability in respect of any fraudulent or negligent misrepresentation whether or not such has become a term of the conditions. As with all shopping websites, we collect personal information from you when you shop online. All orders are then processed on computers that are not connected to the Internet. Print More is a registered data user under the Data Protection Act. We will never pass your details on to a third party for marketing purposes. • In the unlikely event that our business assets are ever sold to or purchased by another company. (Our data records are part of our business). To see all the information we have about you, and to correct any inaccuracies, please write to: Print More, 37 Luton High Street, Chatham Kent ME5 7LE.